The talks between GVK Airport Holdings, a step-down subsidiary of GVK Power & Infrastructure, and Bid Services Division (Mauritius), an arm of Bidvest, to come to an agreement on the stake sale of the latter in Mumbai International Airport Limited (MIAL), has not yielded any result, the lawyers for the two parties informed the Delhi High Court (HC) on Thursday. The court will now start hearing both the parties from April 29. GVK Airport Holdings and Bid Services Division (Mauritius) had on Monday told the HC that they wanted to sit down and talk to each other before moving further on the injunction plea moved by GVK. During the hearing on Thursday, Bidvest also gave an undertaking to the HC that it would not take any steps on the proposed stake sale. A single-judge Bench of Justice Sanjeev Narula also issued a notice to Bidvest and sought their reply to GVK’s injunction petition. GVK had last week moved the HC seeking to stop its South African partner Bidvest from selling its stake in MIAL. GVK had in February exercised its Right of First Refusal (ROFR) to buy out 13.5 per cent of the total paid-up share capital of MIAL. The company had exercised this option after Bidvest had issued a notice to the former, saying it had found a buyer for its stake. Bidvest has now contended that it could not wait until September 30, which GVK wants as the last date till which it can pay the former. GVK, on the other hand, wants time until September-end, citing legal and other regulatory hurdles that could arise during the time it arranges for money to buy Bidvest’s stake. With the exercise of ROFR for the acquisition of shares, GVK Airport Holdings’ stake would rise to 74 per cent upon the completion of acquisition of their stakes from the present 50.5 per cent. As it was agreed to acquire the shares from Bidvest as well as ACSA Global at the rate of Rs 77 per share, GVK will require Rs 2,171.4 crore to pay for the acquisition of the 23.5 per cent stake. It was not clear as to how the GVK was planning to raise the amount to fund this acquisition. MIAL is a joint venture of GVK and South African investors Bidvest and ACSA. 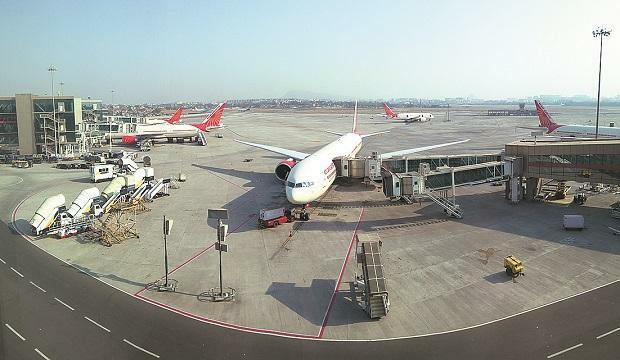 GVK Airport Developers owns 50.5 per cent of MIAL, while the Airports Authority of India owns 26 per cent, Bidvest 13.5 per cent and ACSA owns 10 per cent, respectively.